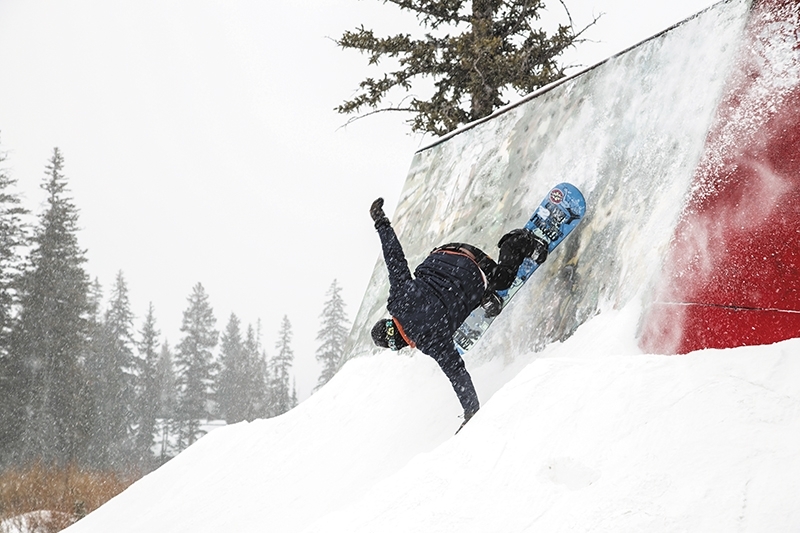 Front 180 on the wallride by this year’s Women’s Open Snow champion Sam Kolesky. Sam Wittke slashing to the theme of this year’s SLUG Games: Slash Bash Presented By Ken Garff Fiat! 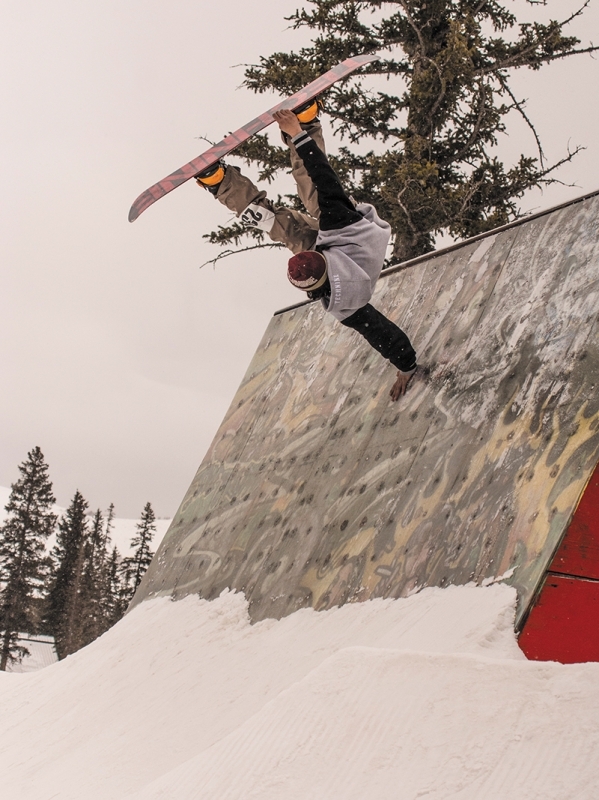 Braxton Eliasen, low and fast flip over the big gap set up on the side of the course. Contestants gather in the sponsor village awaiting to hear from the judges who placed 1st, 2nd and 3rd in their respective categories. Jaromie Nolan firmly planted his place at the top of the podium with moves like this steezy handplant on the wallride. A view from the riders’ perspective before they take their run. The SLUG Mag SLUG Games: Slash Bash Presented by Ken Garff Fiat crew! Thank you, once again, to this year’s presenting sponsor, Ken Garff Fiat of Salt Lake. Sammy Keena flipped off everything he could. 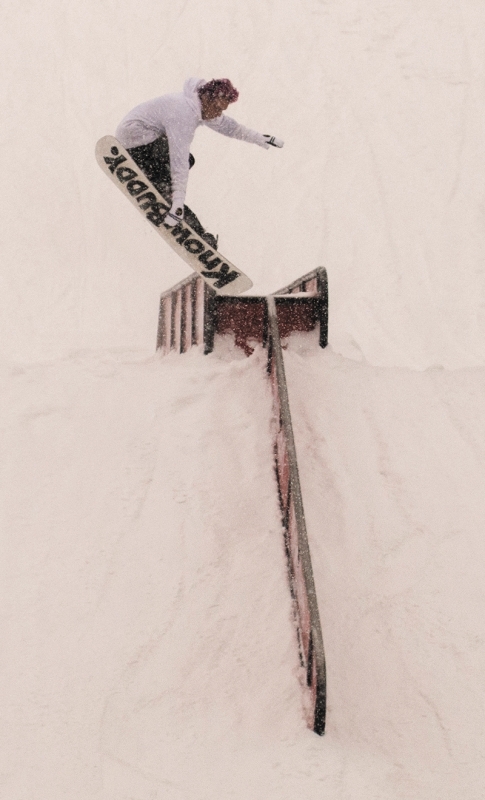 AJ Lawson pokes out an indy grab from a 50-50 on the flat rail. 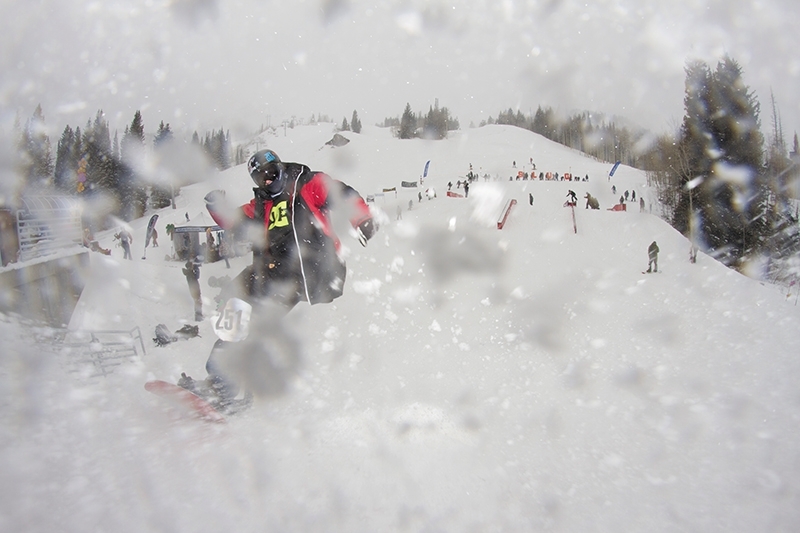 Men’s 17 and Under Snow finalists (L–R): 2nd Place John Harris, 1st Place Edward Enyart and 3rd Place Jack Stevens. 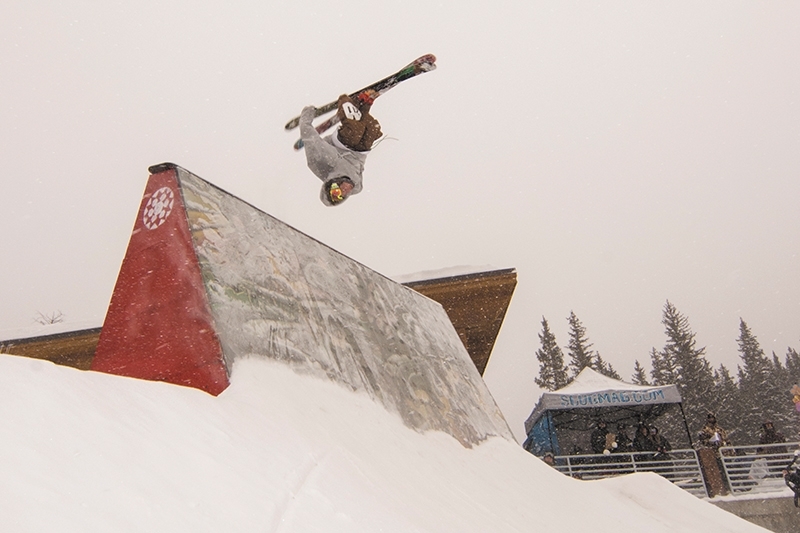 Women’s 17 and Under Snow finalist went to the one and only Zoe Blohm. Men’s 17 and Under Ski finalists (L–R): 2nd Place Austin Scaccionoce, 1st Place Jackson Jenkins and 3rd Place Kolon Jenkins. Women’s Open Snow finalists (L–R): 2nd Place Laura Rogoski (not pictured), 1st Place Sam Kolesky and 3rd Place Veroniqi Hanssen. Men’s Open Ski finalists (L–R): 2nd Place Chase Mohrmon, 1st Place Rory Walsh and 3rd Place Matt Newton. Best Slash Snowboarding award was given to Sam Wittke. Best Slash Ski award was given to Luke Mallen. 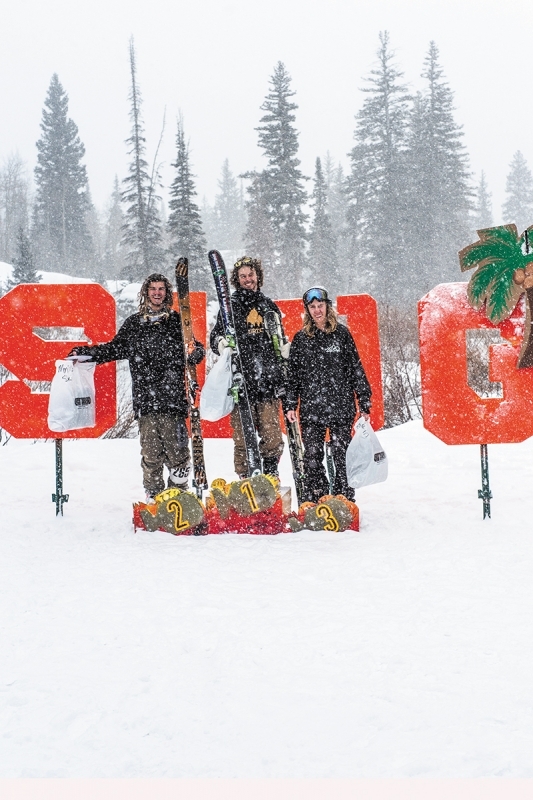 Men’s Open Snow finalists (L–R): 2nd Place AJ Lawson, 1st Place Jaromie Nolan and 3rd Place Dillon Guenther. 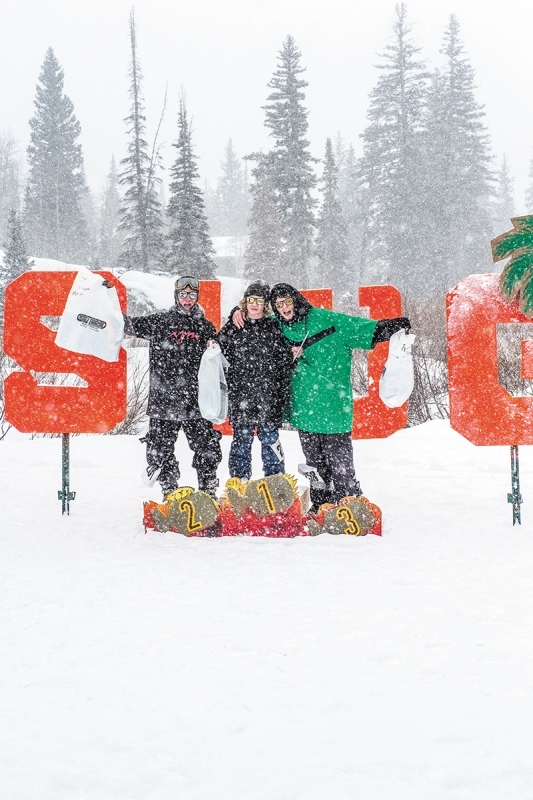 Saturday, Feb. 28, marked the second and final contest of the 15th annual SLUG Games ski/snowboard series, SLUG Games: Slash Bash Presented By Ken Garff Fiat. 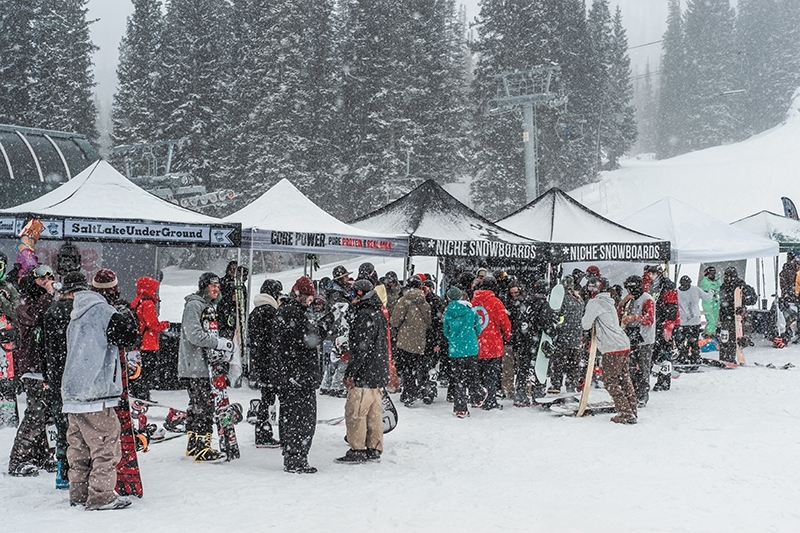 Housed once again at the base of Millicent at Brighton Resort, over 100 competitors turned up for their chance at local fame and a sack full of goodies. 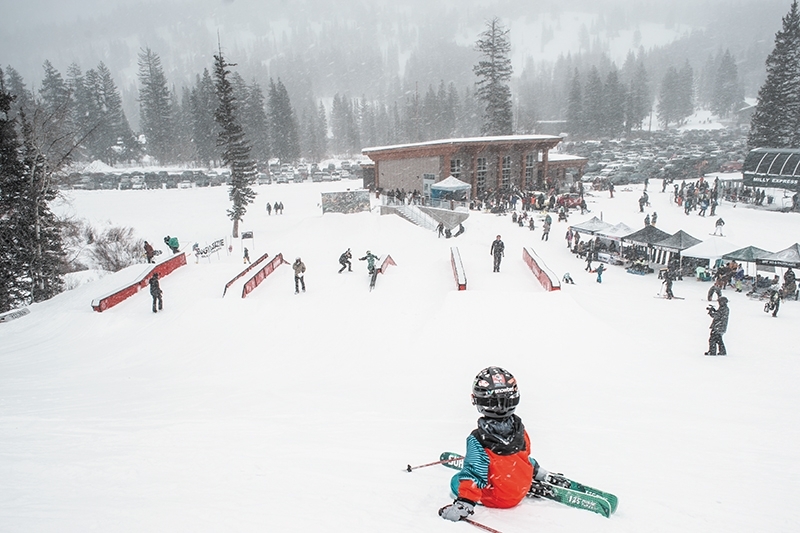 Numerous rail options provided the kids with ample features to showcase their skills and creativity. Mother Nature finally showed up as well to provide just enough dust to cover the crust. Thank you to all the sponsors including Core Power, Freeheel Life Industries, iNi Cooperative, Izm Apparel, Ken Garff Fiat, Milo Sport, Niche Snowboards, Outlaw Union, Pit Viper, Porcupine Pub, Publik Coffee, RAMP Sports, Saga Outerwear, Salty Peaks, Warp Wrapz Goggles and Toogumshoe for all of the product and support. We’d especially like to thank all of the competitors for putting it all on the line. 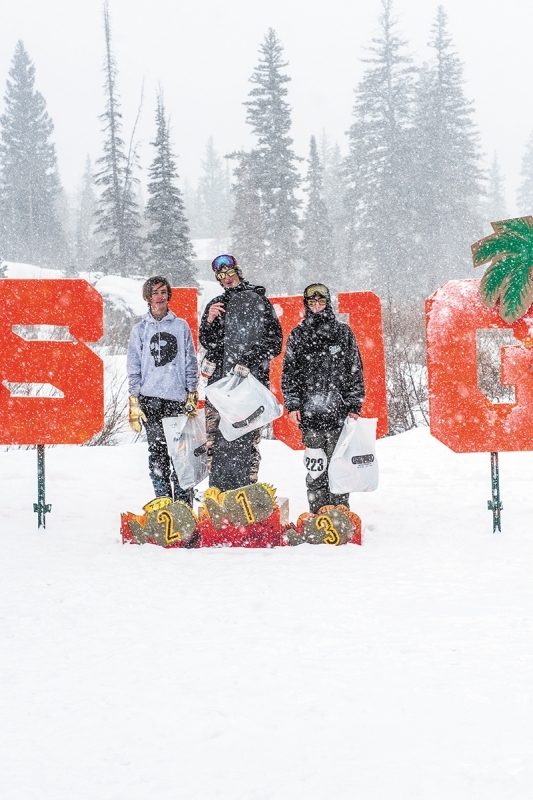 SLUG Games Men’s 17 and Under Snow finalists (L–R): 2nd Place John Harris, 1st Place Edward Enyart and 3rd Place Jack Stevens. 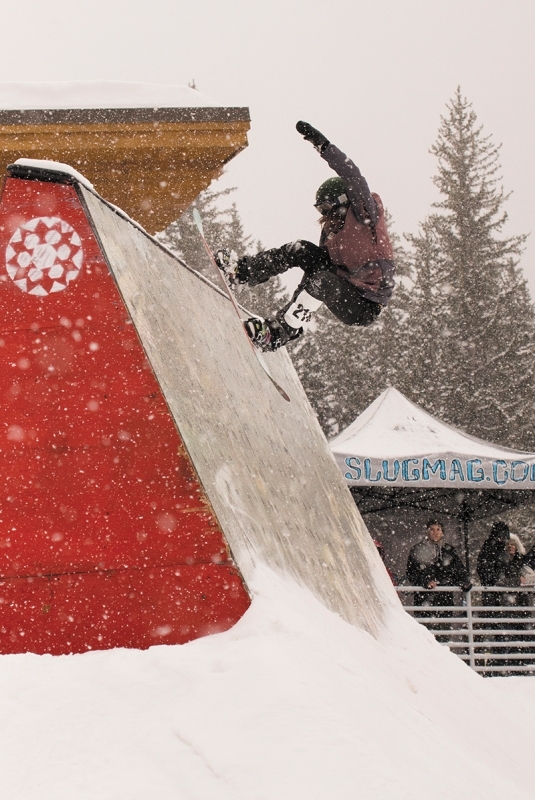 Best Slash Snowboarding award at SLUG Games was given to Sam Wittke. 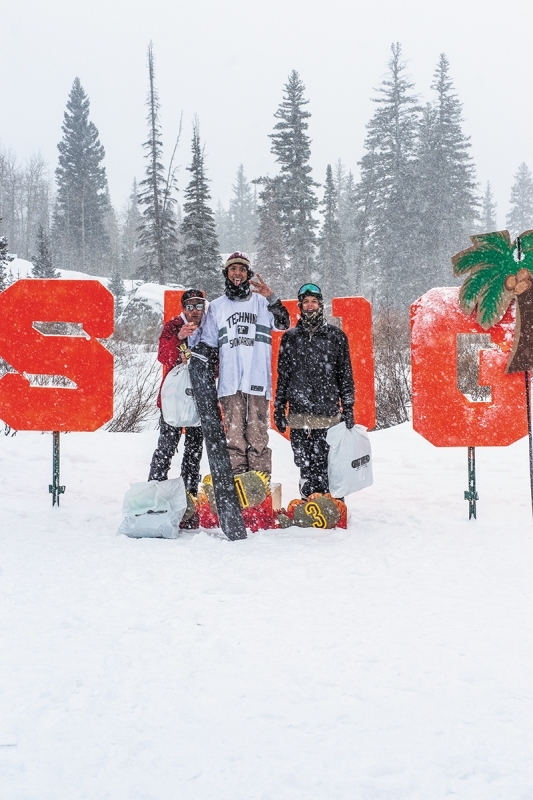 Check out Shawn Mayer’s full recap and a full photo gallery of the event on SLUGMag.com!